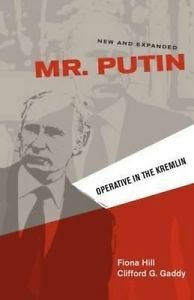 If you want to know pretty much all that is reliably known about Forbes magazine’s most powerful person in the world Vladimir V. Putin, you can’t do better than Fiona Hill and Clifford Gaddy, Mr. Putin: Operative in the Kremlin. Unlike many books of this sort, Hill and Gaddy are careful to separate speculation from reasoning based on real evidence. The book is too long, but it is a readable, hugely informative, smart and penetrating look into the person behind Russia’s personalistic regime and the ways in which his faults and virtues interact with the system of rule built around him.